We proudly serve young people 18 months through the 8th grade and provide each student with the academic and social foundation needed for future success. 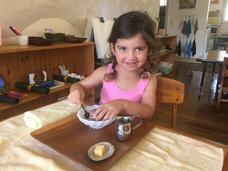 Come discover the many benefits of a Montessori School of Maui education. The Montessori teaching methodology is uniquely based upon observation, peer learning, tactile learning materials and intrinsic motivation, and provides a collaborative learning environment that stimulates critical thinking skills, cultivates inquisitive minds and decision-making and supports the development of each child’s unique potential. We know life is hectic, so we're ready to help! 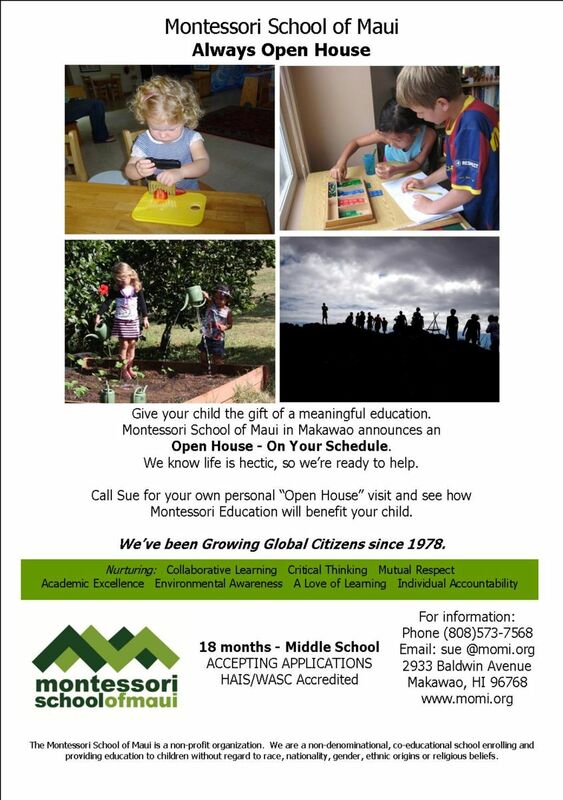 The Montessori School of Maui is pleased to offer an Open House on your schedule. Call Jamie today to schedule your personal "Open House" visit and see how a Montessori education can benefit your child.